July 28, 2014. It’s a day that I will never forget. A day ingrained in my mind. A day that replays over and over in my head. A day has me bursting into tears in a moment’s notice. My Theme Park Nightmare. It’s amazing how one of the happiest places for families has now ironically become something else for me. Over 3 months later, I am now finally ready to talk about it. The weekend was looking great. Yesterday, we had a family day at Clearwater Beach with pristine sand, happy smiling children and perfect weather. And today, we were headed as a family to Busch Gardens for the day to check out the new Summer Nights promotion. 2 kids, 2 adults, and a full day of memories were on the table. The day looked so promising. We were taking our time, walking around and checking out animals. I noticed that my baby girl was acting quiet. Tired. “Must be from the beach yesterday,” I thought. I gave her extra fluids. Purple Gatorade, I remember. Snacks. We even kept her in the stroller to shield her from the hot summer sun. No problem. The hot day lingered on. It was after 12 pm before we decided to get in line for the train that goes around the park. I was tired and frustrated by that time. The train was about to leave. My husband said that we could get on if we emptied out the stroller and folded it up. Does he realize how much “stuff” we carry with us? If we missed it, we’d have to wait at the train station with 2 cranky kids for another 20 minutes. Needless to say, we missed the train. I didn’t realize how much of a blessing that was. “Come take a picture,” he said. I wince at the memory, my eyes misting as I type this. Little did I realize, my daughter was in the aura stage of what was going to be the longest 3 minutes of my life. And it seemed like an eternity. 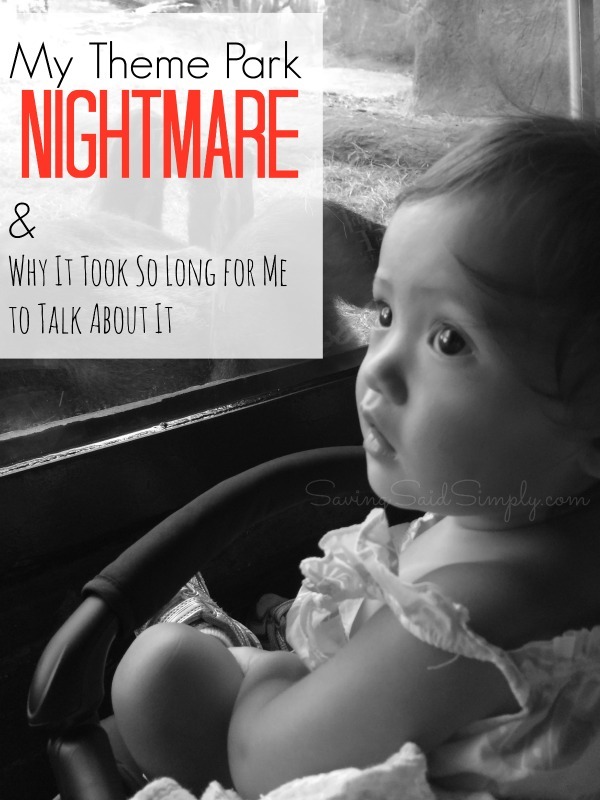 In my husband’s arms, my daughter’s arms and legs started twitching. He must have just watched the odd movements for seconds before he notified me. Oh no. She’s never had one before. And things begin getting a little blurry in my memory at this point. I remember taking her in my arms, running around the train station, screaming at the top of my lungs for help. I remember sitting down on a bench, screaming and crying, as I saw my daughter’s eyes rolled back in her head. She wouldn’t stop shaking. “Please stop,” I begged her. Those minutes, only about 2 to 3 minutes, I saw her whole life flash before me as I tried to choke down the possibility of brain damage if this continued. 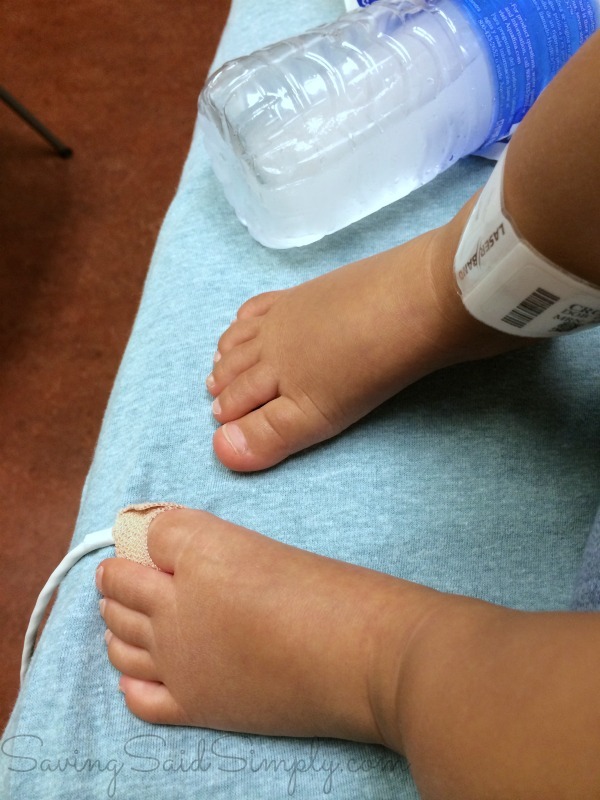 Someone, an angel of a lady, took off my baby’s shoes and put an ice cold water on her feet. Another torturous few seconds before she went limp. It was over. By then, I’m not sure how long it took before the park medic arrived. He told me that we needed to go to the hospital right away, especially with this being her first seizure. At this point, I don’t know what I was thinking. Perhaps one of the dumbest things I’ve ever said. What was wrong with me? My baby needed attention. Help. Answers. And I was too stubborn to get into the golf cart to get into an ambulance. It took some convincing, but we were taken to the nearest ER for evaluation, blood work, medical history. I cried when she got an IV and had barely moved when the needle stuck her. I cried even harder when she opened her eyes and focused on my face for the first time. A nasty virus. 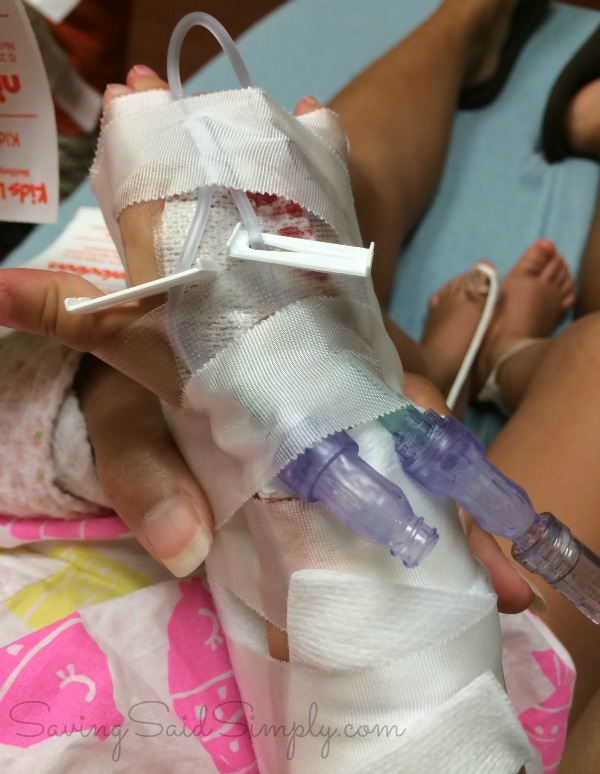 Her fever shot up quickly while at the theme park, causing a full seizure. Within a few hours, we were released. Tylenol and Motrin our new best friends for the next 3 days, we went home, completely exhausted. Everything happened so quickly. Within half a day, our lives and memories changed forever. It’s taken me months to be able to write about it. I sat here with this blank page for weeks, trying to find the words. Part of me was reliving the nightmare. I mean talk about it? I couldn’t even stop thinking about it for a month solid. One of the scariest situations I have ever dealt with in my life, I realize how quickly my daughter was almost taken from me. In an instant, her life could have been gone. I was afraid. I am afraid. Part of me was embarrassed. 4 years of college to obtain a B.S.N. degree. 6 years of hands-on work on a pediatric nursing floor, having witnessed and treated kids with the exact situation. 5 years as a mom. I had all of the credentials of a well-prepared person for a situation like this. Instead, I was frozen. Unable to cope, hysterical at best. And I was ashamed. Ashamed that I didn’t see the warning signs at the theme park. Tired, lethargic, not herself. I should have felt her forehead, given her a dose of Motrin (she was badly teething) anyway before we left the hotel. I should have had a thermometer on me. Maybe if I gave her more Gatorade or a better snack. Maybe if I was a more attentive mom…..I would have seen it. What kind of nurse am I? I had sunken into a deep sadness, probably depression. It’s taken over 3 months to forgive myself. Though I had plenty of training and experience as a nurse, I have had little to no training or experience with my own kids this close to death. It was hard to realize that in THIS situation, I was a mom first. Not a nurse. I had every right to not be prepared for this moment. A long road to recovery, and not for her. But for me. I still relive that day. I have nightmares about it. I cringe when I see pictures from that day. When she wears the outfit. I even recently found the picture I took of her, moments before her seizure. I immediately burst into tears. But slowly, ever so slowly, I’m learning to find the blessings in the darkest of times. Blessing that we never got on that train. What if she had a seizure while we were moving? Blessing that the staff were able to call an ambulance. The Angel that had the ice water. The doctors, the technology, our son for being so brave, our family for holding together. It’s ironic that I am now opening up about this day here now in November. A month of thankfulness. And I certainly am so thankful, even for this experience. It’s a day that I will never take for granted. My daughter almost died that day. But I have been given so many more days to be with her. Each day, a blessing. Now, I’ll never look at a theme park the same again. Yes, you will find a thermometer in my diaper bag. Have you dealt with an experience like this with your child? How did you cope? Be sure to follow Saving Said Simply via Facebook, Twitter, Google, Instagram, Pinterest and YouTube for more of my mommy brain thoughts. Perhaps coming from a fellow RN it will be some comfort to you when I say “cut yourself some slack.” Would you be so hard on me (or anyone else) if you heard/read their story like this? I doubt it (and absolutely not now that you’ve been through it yourself). *hugs* First, we are, none of us, perfect. Second, thank God your baby is okay. Third, yes, you are a mom… and we ALL chalk things up to yesterday or something else at times especially when we’re busy trying to concentrate on other things (from theme park fun to cooking dinner). Definitely nice to hear from a fellow nurse. Thanks for your encouragement and support! I’m glad everything was fine in the end, but I’m even more glad you’re able to forgive yourself after all that trauma. Kids are crazy and crazy things will happen. If life gave us an easy ride… Well that wouldn’t be life now would it? I sure understand your fears. We were raising our granddaughter and she had 2 seizures. So scary and we were lifeflighted to Tulsa. I am so glad we rushed her to DR. I am glad your baby is ok. Watching someone have a seizure makes you feel so powerless. So scary! Oh wow, I can’t even begin to imagine how scary that was. Glad she is ok! So sorry you and your little one had to go this. I have not had to deal with anything like this with my three kiddos and i’m very thankful for that. That is very thankful, Billie! I am an RN too and nothing, absolutely nothing, can prepare you for your own child going through something traumatic like this. My baby Jemma was very, very ill for over a month and each day I fought my education thinking about the little girl whose life was at risk. Hugs to you. I am so glad your little one is doing okay now. My best friend went through her daughter having seizures for the first 3 or 4 years of her life. It was such a scary, scary time for her, so I completely understand the shock and panic that goes through your mind when it happens to your own child. I am glad to hear that she is ok now! wow I would have a hard time writing about that too. I’m so glad she’s ok. You’re a good mom and a good nurse. I’ve never been through anything like that and it chills me to read about your experience. I’m so glad you got the help you needed when you needed it. I can see why you froze in that horrific mom moment! What a blessing it’s all behind you! Such a scary day for you! As moms we are too hard on ourselves when it comes to our kids. Hugs! It’s always so scary when your kid gets weird symptoms or has weird medical problems. You don’t always know how to react. 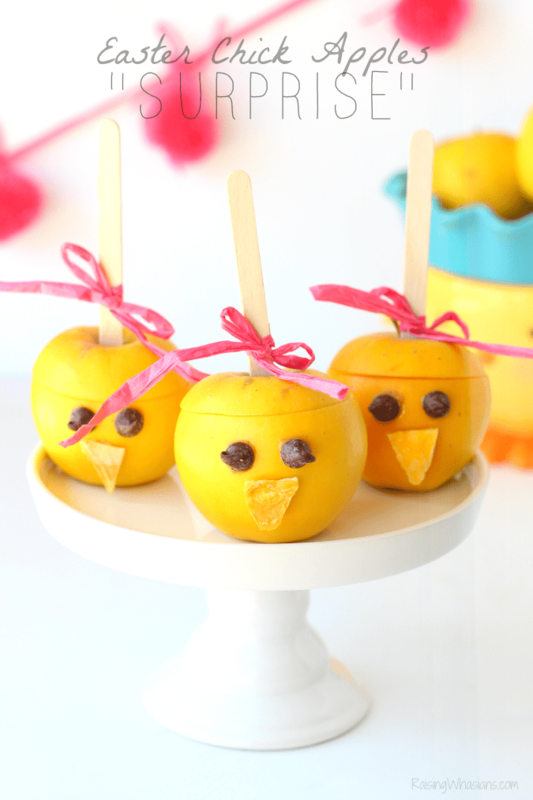 I know that my kids have been ill before and I didn’t know what to do. I didn’t react how I knew I should. I feel for you. Life can give us tough challenges and we sometimes test us. Stay strong. Completely understandable that you acted like a mom in this situation, because in this situation you were the mom. She wasn’t your patient. Please stop feeling guilt. You feel like you didn’t do the right things but you did! Your daughter got to the hospital and she is ok. Take a deep breath and be thankful! When my autistic son was walking but still young we went to a big park like six flags and when I turned around he had wandered off. I was panicked. I started crying and running around trying to find him. After about 15 minutes I found him. He was at the petting zoo with the animals. How scary! But I would have been the same as you, figuring the symptoms were from being tired and hot at the park. Means a lot to know I’m not alone, Shelly! It is very scary to watch someone you love have a seizure and not know what to do. I have a family member that suffers from seizures and it is one of the hardest things to watch. It is a very helpless feeling to know that you can’t do anything to help them. I can’t imagine watching my child experience that. I am glad she is ok. I have not witnessed any of my children having a seizure but a few of my friends have them. It is a pretty scary situation. I could only imagine if it would of been my child. You are a good mom. You just panicked. Not your fault. I would of done the same. I am glad that she is ok. Also wanted to tell you this was one good post. It would be sure to help someone else maybe in a situation like that. Glad you are getting passed it too. Thank you, Sharon! That means so much. I do hope it helps someone out there! I’m a CPNP and believe me, you go into mom mode when something like that happens to your child. My own son had fever and abdominal pain for 5 days, and I really struggled when it came to getting a CT done. Was he that sick? Am I crazy? And I had them guilt when after all the pokes and prodding were done and nothing was ever found. Just a virus. We moved forward and he was ok. I’m so glad your LO was ok in the end too. I can’t even imagine how terrifying that must have been. I’ve had two health scares in the past few years, and both times I didn’t want to take an ambulance or cause a fuss because I didn’t want to call attention to myself or upset other family members who would worry. We get so used to being strong for others that it’s hard to realize when we really do need help. I’m so glad your baby is OK.
Big hugs to you!! I can tell you are a wonderful mommy! Be kind to yourself! I have to come here and say we had a tragedy at a National Park this summer in TN. My husband was taking the wrong medication for his ailment and ended up sustaining a TBI. Right now we are broken up and living separated due to that very same accident and wrong people meddling in our family life. I am so thankful that he is alive and driving home I was in shambles just thinking that I will never be in his life again. But everything happens for a reason. I blamed myself so many times due to the fact that I should have known better and looked up the herbal remedy that he was using. But I didn’t and just took a guess at what was happening and researched later and found that I was right. One day I too will have to forgive myself for not paying more attention. But sometimes in life we get so caught up we forget what we were actually trained in to help our own family members. I am just thankful that he is alive and well and that he remembers all of us. Love and Blessings! Thanks for sharing your story, Esperanza. I hope there’s a happy ending in your future soon! That is so terrifying. I’m so glad that she is ok and that it all worked out. Bless your daughter’s guardian angle that helped at the park. I hope you get to revisit the park someday and create only happy memories. You can’t blame yourself. We didn’t have anything that scary happen, but over the summer we were at the zoo and it wasn’t HOT hot, but it was warm out. My daughter didn’t eat much at breakfast, then complained about her snack so she didn’t eat that. By the time lunch came around and we were walking around to find something, she started crying and screaming. I thought she was just tired or uncomfortable from being in the stroller, so I got her out and she calmed down. She held my hand and we walked and she seemed happier. She’s 2.5, and kind of a drama queen already… anyway. We found a place that had something for everyone and while we stood in line, all of a sudden she threw up everywhere. The cafe workers called the zoo medics, who brought a golf cart and her and I rode all the way to our van where I turned the AC up and gave her some cool water. After she cooled off (and hubs with our other two kids made their way back to the van, maybe 10-15 minutes) she was FINE. She slowly ate some crackers and the rest of our weekend was fine. Come to think of it, hungry and hot are NOT a good mix and I should have known that and tried to offer more foods before we even left the van to go to the zoo (considering she’s my third kiddo). It. Happens. My husband is an EMT! He should have known or had some insight. Please don’t beat yourself up over this, but thank you so much for sharing – you’e connected with so many people! Thanks for sharing, Mandi. Everyone’s been so supportive! Seeing your child have a seizure is absolutely terrifying. You may be a nurse, but you are a parent first. When it comes to your own child, things are taken to a totally different level. My daughter suffered from seizures from the age of 6m till about 5 yrs, so I know that terrifying feeling. Just know, you should forgive yourself and you are a wonderful mother. take it easy on yourself, we aren’t rained for moments like this. As a mom that come instinct comes first and that is to comfort our kids. You held your child when she needed it. I’m glad it’s over and didn’t have any lasting effects. Mom training would have been nice 🙂 Thank you, Melinda! Oh hun… You have to forgive yourself. It’s a scary situation, for sure. All your years of training don’t prepare your for the emotional connection you have to over come when it’s your child. That is the hurdle. My husband is a paramedic/firefighter. He’s 1/2 way thru med school. He had the same panicked reaction when 1 of our kids had a serious medical scare. And, after a couple weeks he was able to say why… it’s the emotional connection. Your kids are a part of you. Not simply another patient. And while you feel responsible and give them the best care possible, your intertwined lives are not a part of the equation. It’s why Dr’s can’t operate on family members. Forgive yourself. You could not have predicted that a tired, teething little girl would be anything more than that. Tired, teething… all normal. Even if a mom brought her in for care to you, you’d assume the same, right? I’m so happy to hear everyone is well. Now, you be well. Thank you for sharing your story! That emotional connection is definitely the x factor! Do not beat yourself up! Kids can be quiet, tired, for so many reasons. It happens so often that it really is hard to know when something is off. I’m glad your daughter is okay! Thank you for sharing. I can completely understand why you needed some time before doing so. I was holding my breath and crying with you on this one. As for being a nurse, I think we can be the best at what we do for others, but when it’s our own family…everything changes. As it should be. I’m so happy you had a happy ending for this story, and you’re right, you have so so so much to be thankful for, and I’m thankful for that for you too. So sweet for you to say, Rosey. You have no idea how much that happy ending means to me! I haven’t dealt with anything like this, but I would have been no more calm than you were. I’m glad you’ve opened up about it. Don’t blame yourself! You don’t know the sick children that you treat. You know you’re daughter. She’s your life. Of course you would flip out! Thanks for the support, Krsytal! Wow, what an experience. I hope your daughter is doing well and there were were no long term issues from the seizure. At that moment you were a mom, all of your education, it didn’t matter when it happened. Seeing it happen to your own baby makes all the difference. I worked with special needs students and saw them have seizures so many times. The first time was so scary for me. I would be completely frozen if it happened to my boys. Sending you a big hug!! Oh my goodness! I am so glad she is ok. I have a friend who’s son also has seizures with fevers. I had no idea it could happen until it happened to him! I am so sorry you guys had to go through this! So glad she’s ok. Please don’t blame yourself! You were comforting her as a Mom would. She needed that! I understanding your waiting to post. Your family went through a horrific experience. Hugs and prayers. I am so sorry that you had to go through this and so glad to hear that your daughter is ok. As moms, we always blame ourselves but you don’t need to do that to yourself. Sending hugs to you, Mamma! What a scary situation! I think you should cut yourself some slack! Seeing someone else’s child be sick is SO different than seeing your own, panic trumps experience any day. Thank God everything worked out ok! I love that “panic trumps experience” line, Rachelle! You are not a BAD MOM or Nurse. I am going to say that I can handle any situation that does not involve my children. When my son was sick I remember screaming and acting cray cray. My mom was the only who could hold him. Everyone thought my mother was his mother. I was unable to do anything. He got a virus at 2 1/2 weeks old. Because i had to take my son out as a single mom of three boys. I didn’t have the luxury of staying home I had to do the grocery shopping etc. He caught something. When my brother was 4 months old he had a reaction to soy formula. My mother was doing jumping jacks in the elevator and dance moves because she couldn’t bare to see her child near death. I remember calmly holding him and watching drift, thank God he was able to get well. As parents we can’t stand to see our kids sick and sometimes we over look the warning signs. Why because we are not super parents we are just parents. We will not catch every little thing. I am so glad your daughter is alright and please don’t beat yourself up about it. Your story is a blessing to others to help them in this situation and perhaps spread awareness. You are a fine mother and your family is lucky to have you both as a mother and a nurse. Thanks so much! So encouraging! Dealing with our own family is a completely different story. Don’t be so hard on yourself – you are a Mom. That is what I tell patients in ER . Dealing with family emergency health issues is very hard. Experiences like yours with my own family have made me a much more understanding health care professional. Not sure how I managed to miss this post as closely as I follow your blog. In fact, you were part of my inspiration to start my own. 🙂 Anyways back to your post, my stepmom is a nurse and got diagnosed with fibromyalgia a few years ago, I’ll never forget what she said when I asked how she was doing and told me without skipping a beat… “It’s one thing to be a nurse, but its a whole other world when you’re the patient.” At some point in time rather were nurse’s or doctor’s – or think we have our whole lives planned out, we will eventually ALL become patients. And when that happens nothing can prepare you for how you will react. I truly believe that we are all dealt with the cards we are dealt for some sort of life lesson, if not for ourselves then maybe even for someone else. So many things (though they may not have been the best moments) in my life, I understand why I went through them and if you can do that (like you have) I truly think it makes you a stronger and more understanding person (as you are). Thank you for your story, sometimes as busy as I am I forget to stop and smell the roses so to speak, so I appreciate this bringing me back to earth even if only for a few. This got cut off) It’s what I only hope to accomplish in my writings. Oh Lordy, which story to tell you!!! I had 6 children and more than my share of “accidents” and sicknesses. I too was a nurse. Grad from LPN school in ’71 while 7 months pregnant with my 2nd child, I’ve gone thru hyperactive kids, to one being accidentally shot by his brother with a 22 rifle, airlifted to the hospital while I had to drive my self there, surgery, and 18 days of recovery, 3 months out of school before finally having the catheter removed and being able to walk again, car accidents, injuries, one having a full blown seizure at age 3, in the back seat of the car while I was driving down the highway at 60 miles an hour, and finally the one that all parents are never ready for and dread the worst, that call in the middle of the night to tell you that your son had a wreck and was killed instantly. It’s been 8 years now since my 32 year old son died, and even though it does get easier as the years go by, it only takes a second to come rushing back again. If not for my faith in God, my family, and my church, I would never have made it thru it. Raising children is never easy, and now that they are all grown, from ages 28 to 46, now I have grandchildren and even 3 great grandchildren, so the worry starts all over again. All you can do is place them in God’s hands and know that He loves them even more than you do, and trust in his will. And pray that you never get that phone call again. I am an CNA not an RN but cut yourself a break…in that moment you weren’t the RN that you had trained to become your were that babies momma! I am so glad she is ok! Thank you for your support, Courtney! There is nothing like a parent’s heart ache for their child. My daughter has autism and while it’s not usually life threatening, in an instant it can be. For example, children with autism tend to run away when they get upset and seek out water. This is very dangerous because they usually can’t swim. You learn to live with the fear and even have a successful and happy life. But it’s definitely not easy. I’m glad your baby is ok! How did I miss this?! I am sooo sorry you had to experience that! I’ve lived through 7 of those seizures and it’s something I don’t wish on anyone. I’m so sorry you had to experience it multiple times!! I’d never wish it on anyone, Sili! I think every mom panics when something is wrong with our children. Last year my youngest had her first of many seizures where she was finally diagnosed with Epilepsy so I know how scary this must have been for you. My heart goes out to you, even now over a year later I still watch my youngest like a hawk and she is almost 13. I’m terrified that something like this will happen to my kids. I had a seizure at 21 in front of my boyfriend, we now have two kids together, and it was terrifying. I took a drink of water and it went down the wrong tube and that’s the only thing my Dr. can think of that caused it because I’ve never had another one, just lack of air. I only remember waking up to what felt like an earthquake and my boyfriend screaming my name. Apparently I just collapsed out of my chair and started shaking violently. He did the only thing he could which was hold me so I wouldn’t hurt myself and just yelled at me to wake up. To this day he says it’s still the scariest thing that happened to him, and I watched him fall 3 stories on his back. After I woke up and felt the shaking I realized I had no idea what happened but it was something bad, I still can’t shake that feeling and I can’t imagine a child having to go through it. While this post may be old, this is the first time I am seeing it. Oh my goodness, you have me in full on tears right now! That must have been so scary! Thank goodness your sweet baby is okay. Becoming a mom has made me realize that I am not perfect and make a lot of mistakes, but that’s okay. Febrile seizures can really take you by surprise. Cut yourself some slack. I’m glad everything worked out ok, but it can be horrible at the time. The febrile seizure in & of itself is benign. It is, however, an indication of a fever-inducing disease. Under such conditions, the first aid is to try to bring down the fever, and then or meanwhile work on the diagnosis. I had my baby niece in my lap when it occurred. Daddy, a retired general practitioner, asked, “Did you see that?” I replied, “Tonic-clonic seizure.” I’d never actually seen one as a med student — they’re so transient — but this one was by the book: Wide eyes, like “WTF is happening to me?”, then stiffening, then the shakes, then like nothing had happened. What’s funny is that years later, Daddy denied ever having seen it! Infants are keyed-up neurologically. We’re born with hair-trigger reflexes, some reflexes we lose entirely (except we can get them back in old age as part of parkinsonism), and we can have seizures at the drop of a hat. Most of the time they mean nothing. If it’s febrile (occurring during fever), there’s your excuse right there, and they’re just an indicator that we have a fever that needs to be looked at; if you already know we have one, then the appearance of the seizure doesn’t tell you much in addition. If it’s afebrile (in the absence of fever), that’s a little bit more of a concern, because it could be the start of a lifelong seizure disorder, but usually it’s not.